HMD Global has lately been on the front foot, having launched several Nokia-branded smartphones in the past couple of years. From feature phones like the Nokia 3310 (2017) to low-cost Android smartphones like the Nokia 1 and premium handsets like the Nokia 8 Sirocco, HMD has revived the Nokia brand especially in core Asian markets such as India. 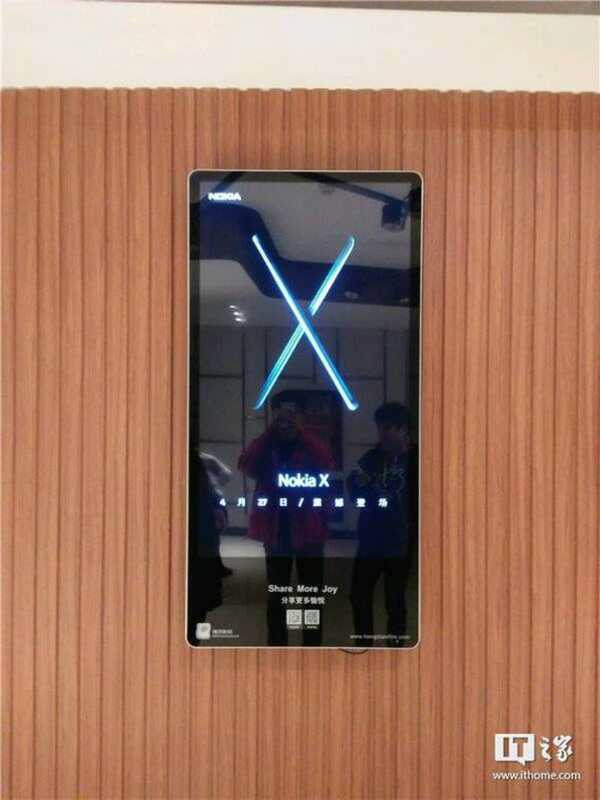 The latest reports suggest the company is looking to launch yet another smartphone – called the Nokia X – on April 27 in China. As per a report by Chinese blog ITHome, HMD’s upcoming smartphone will be launched on April 27 in China. This is evident from a digital advertisement in the country that teases the ‘X’ logo with two sleek smartphones crossing each other, and the launch date mentioned below. Apart from this, no other design elements or specifications have been mentioned in the advertisement. The report does suggest that this will be a mid-range offering, rather than the flagship. It is currently unknown whether this will be a smartphone that will launch globally, or be reserved for certain Asian markets. While specifications haven’t yet been revealed, we can expect the Nokia X to sport up to 6GB RAM, 64GB onboard storage, and be powered by a Qualcomm mid-range SoC – which could be the rumoured Snapdragon 710 expected on two Xiaomi phones in the coming weeks. Flagship features, reportedly, have been reserved for the yet-to-be-launched Nokia 9. According to rumours, the Nokia 9 is expected to run Android 8.1 Oreo out-of-the-box. In terms of internals, the phone is suggested to pack in a Qualcomm Snapdragon 845 SoC, 8GB of LPDDR4X RAM, and 256GB of inbuilt storage. Highlight of the Nokia 9 is said to be its triple rear camera setup with a 41-megapixel sensor, a 20-megapixel sensor, and a third 9.7-megapixel sensor with Carl Zeiss optics.